Willow Grace: A small slice of each. A small slice of each. Yep, I did this, but withe more ice cream. 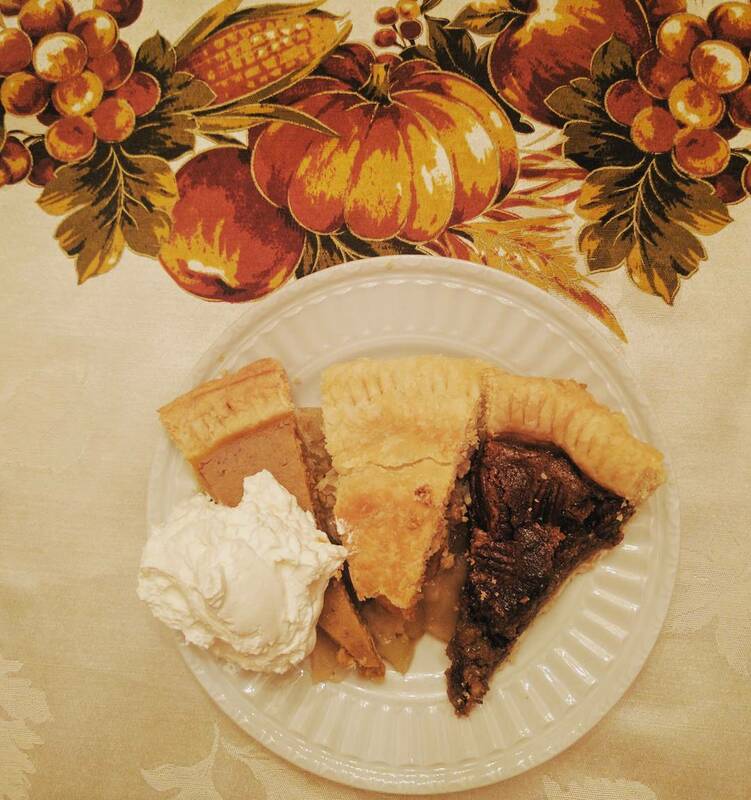 Pumpkin pie, apple pie, and what's that dark slice of pie?